Childhood is full of phases, some of which can be very difficult for parents to handle. Negative behaviors are very normal for small children who are learning independence and adapting to the world around them. But some behaviors can become a long-term problem, leading to difficulties for parents, teachers, and other caregivers. Such is the case with Oppositional Defiant Disorder (ODD), a behavioral disorder that most often appears in early childhood. All children will have tantrums, spurts of anger, or be disrespectful at times, but what sets kids with ODD apart is that their parents and caregivers will notice a long-term pattern of disruptive behavior. ODD is characterized by extremely negative behaviors that are different from normal childhood phases in that the disorder can span many years and can have a serious effect on school and home life. Children with ODD are extremely defiant in the face of all types of authority figures. They can be angry, uncooperative, disrespectful, hostile, and in extreme cases, violent towards others. They may lie frequently or have very poor self-esteem. Little is known about what causes Oppositional Defiant Disorder, but doctors have come up with two main factors in its development. One, the “developmental theory” is that the disorder begins to appear around two or three years of age when toddlers are typically learning how to become independent. For whatever reason, they have an extreme attachment to one or both parents and have a difficult time being separated from them in any way in order to learn independence. The second theory is that ODD can be a result of a negative or abusive environment. Children who grow up with family members who use negative reinforcement or whose parents are angry or abusive are more prone to acting that way towards others. Of course, ODD is not entirely influenced by environment. Like other disorders, it can be linked to a primary mental health issue like Attention Deficit Hyperactivity Disorder (ADHD), anxiety disorders, or psychiatric issues. Occupational Defiant Disorder is perhaps harder on parents than on the kids who exhibit these behaviors. ODD is thought to affect more than ten percent of children. Symptoms may vary and come in “waves,” disappearing and then resurfacing with no apparent cause. Because of the emotional stress this disorder can cause parents, therapists and pediatricians have some welcome advice to help ease the strain. First of all, if your child is having extreme behavioral issues that you cannot attribute to a major life change like the death of a loved one or divorce, consult with your doctor. Keep a journal of when the symptoms manifest themselves and what was going on in your child’s day at the time. This record will help your physician to determine what course of action is necessary. Family counseling is almost always recommended, and this record will be invaluable. Many children with Oppositional Defiant Disorder will get in trouble in school, and it is helpful to meet with teachers and administration to share your thoughts and have them keep a record of your child’s day as well. Because children with ODD are often using negative behaviors to elicit a reaction from the adults around them, it is imperative to come up with a plan for your family. This is something a counselor can help with, and everyone who comes in contact with your child must maintain the same consistency with them that you do at home. Above all, a child with ODD must be disciplined in a calm and consistent manner and have clear expectations about the consequences of their behaviors. A parent responding in anger or frustration to a child with ODD, or simply “giving up” because it is too much to handle is exactly what feeds these negative behaviors. Once you have established a clear pattern of what behaviors occur when, you can sit down with your child and come up with clear guidelines about this, for example, a series of warnings that will lead to a certain consequence. The first is to give a clear, concise, and calm command. The next step is to allow time for a response [from the child]. The final step is to enforce the consequence. These steps should be followed by parents each time there is a behavioral issue, whether at home or out in public, and they are based on the plan that you and your child have already set in place so they know what to expect. It is also important to take note of behavioral changes when your child is sick, tired, or hungry. These factors can increase the severity of symptoms, so more patience and compromise about a resolution may be needed. Just like with any child, modifications to the discipline plan may need to be made during times of illness or additional stress. Parents hear this a lot – “pick your battles.” It is especially true when a child has ODD. Know what their limits and triggers are and discipline accordingly. If every small infraction is treated as a “big deal,” then the really negative outbursts will not seem as serious to them. For any parent who has a child with special needs, whether physical or emotional, the stress can be overwhelming. All parents need to take care of themselves and get away for some “me” time, but this is especially important when you are dealing with constant anger and hostility from the person you love the most. Take a relaxing walk, grab a cup of coffee, and take a few deep breaths. If everyone who cares for your child is on the same page, they will know what to do if you step away for a short time. ODD can also be extremely difficult on siblings who feel they receive far less attention than your other child and even on the parent who is not the primary caregiver. Feelings of resentment that they are not receiving as much of your time and attention can lead to problems for your other children and strain on your marriage. Finding a good family counselor and joining support groups through social media or in person are a great way to connect with others who understand what you are going through. Every child deserves love, support, and consistency and with a little help, you can find a plan that alleviates some of the stress that this disorder can cause on families. 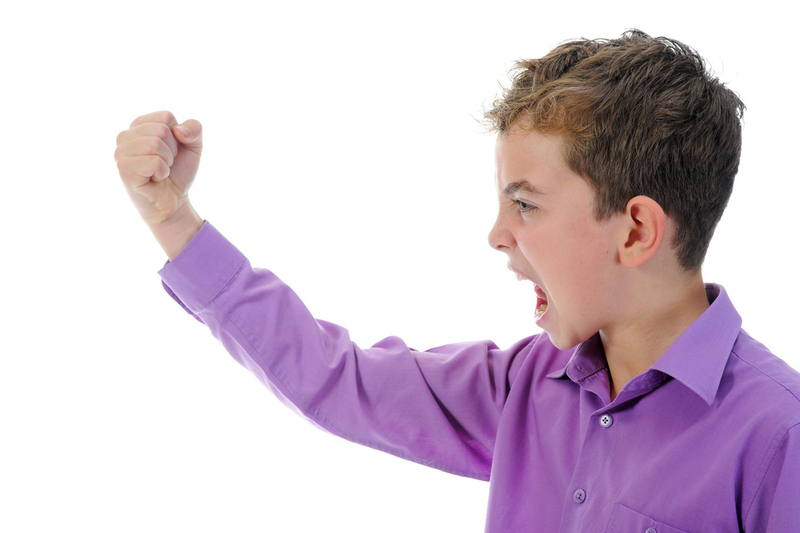 Do you have or know a child with Oppositional Defiant Disorder? What are some of your strategies for coping as a family? Leave us your thoughts.